The USA universities that participated were Alvernia University, California State University, Monterey Bay, Colorado State University, Concordia University, St. Paul, DePaul University, Drew University of New York, Florida Atlantic University, George Mason University, Illinois State University, Missouri State University, Marshall University, NYFA, Oregon State University, Pittsburg State University, Point Park University, Richard Bland College of William and Mary, Rivier University, St George's Grenada, St Louis University, Suffolk University, SUNY Fredonia, SUNY Morrisville State, U C Santa Barbara (Extension Program), University of Alabama at Birmingham, University of Idaho, University of Massachusetts(Boston) (Dartmouth) (Lowell), University of New Hampshire, University of North Texas, University of Hartford, University of Rhode Island, University of Rochester, University of South Florida, Virginia Wesleyan University, Washington State University and West Virginia University. Canadian universities included Arbutus College, Acsenda School of Management, Douglas College, Durham College, Fraser International College, Georgian College, Humber College, International College of Manitoba, King's University College, Lakehead University Canada Sheridan College, Thompson Rivers University, Toronto School of Management and Vancouver Island University. 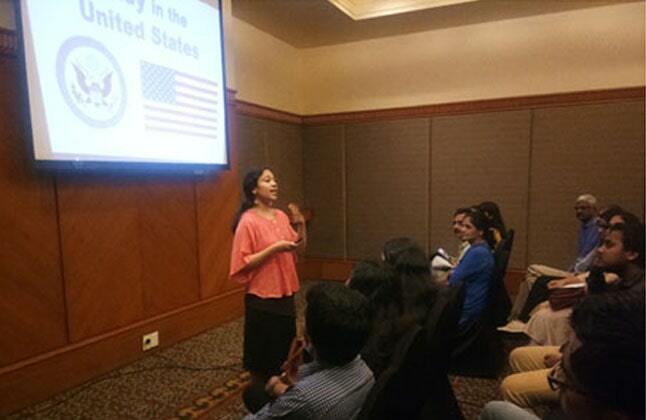 Additionally, a seminar was conducted by the US Consulate which gave insightful information about important aspects related to the entire admission process in the US. As we all are very well acquainted by the cumbersome process one has to go through to get his/her visa approved, this seminar, specifically dealing with the visa process was an icing on the cake. 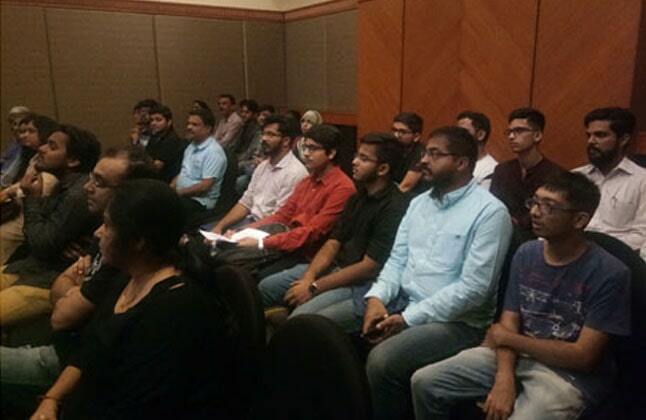 Furthermore, it also provided information related to visa application process, requirement the students should fulfil in order to get their applications approved and guidelines of how to prepare for the visa application. During the fair, free counseling was also provided in the area of loans, visas, coaching and career guidance. Apart from this, on the spot admission applications were also accepted. Banking institutions also participated in the fair to educate students about the options available with them to make studying abroad financially easy. The USA and Canada Education Fair aimed to provide in-depth counseling to students by both, our trusted counselors as well as the reputed university delegates themselves. Moreover, counseling was provided free of charge. These were the major takeaways of the fair. Taking complete advantage of this, large amount of students flocked along with friends and parents to taste the rich nectar served to them right on the platter. Education fairs largely benefits and helps students to find the right path. Attending these fairs gives students clarity of mind and enables them to make an informed decision. Even though, information today is made available within a few seconds by a single click and tap on screens, visiting the education fairs first hand has an upper edge as it provides comprehensive information unlike the generic information provided to you via screens. Personally attending education fairs facilitates direct communication with the university delegates, helps students understand what different universities expect from their prospective students, provides a chance to get all your doubts related to studying abroad cleared. Students who aspire to study abroad should not miss such opportunity and make the most of it. Edwise exposes students to a plethora of invaluable information by conducting Education Fairs regularly. Missing such fairs would be like missing out that opportunity which holds the potential to give one's life a new turn. For complete information of Study Abroad in USA and Canada Contact Overseas Education Consultants, on 1-800-200-3678 (Toll Free) / 08600911333.